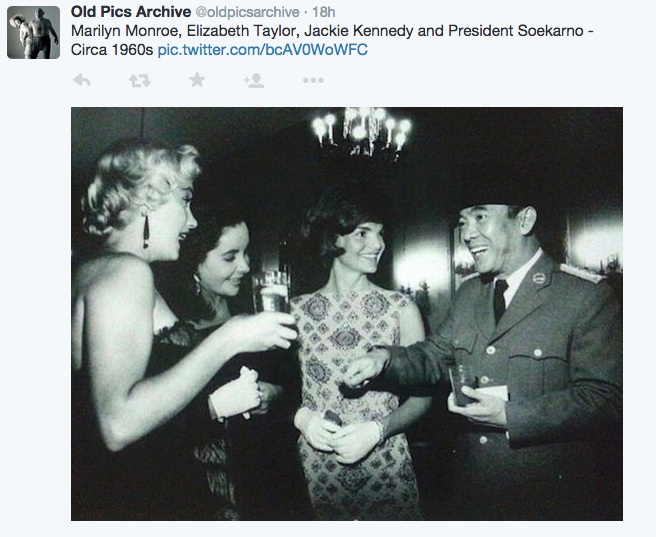 Claim: this is a picture of Sukarno (former president of Indonesia) with Marilyn Monroe, Elizabeth Taylor and Jackie Kennedy taken in 1960’s. This is not a real photograph. It is a photo(shop) montage created by Indonesian contemporary artist Agan Harahap. You can find more of Mr. Harahap’s work in e.g. DeviantArt, Flickr and Blogspot.